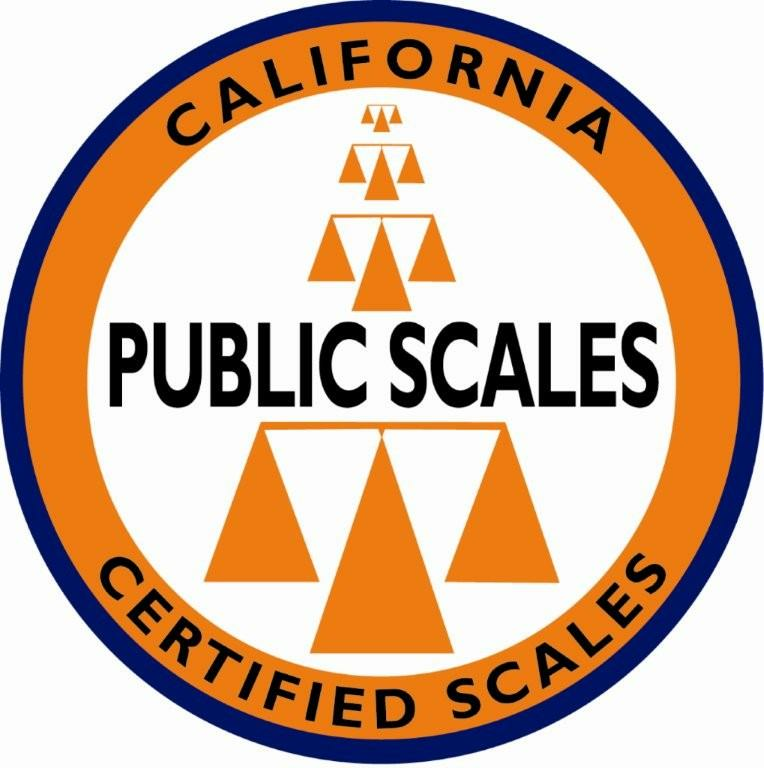 Find Your Local Public Scale. Why do I need a weight certificate? Buy a weight certificate now. Trucks or pickups previously registered in California, when the prior California registration shows the empty or unladen weight, and the vehicle has not been modified to change the weight. Trucks or pickups with an empty or unladen weight of 6,000 pounds or less where the weight is indicated on an out-of-state certificate of title or registration, and the vehicle has not been modified to change the weight. Two-axle or three-axle trucks weighing 10,001 pounds or more. The estimated weight is required. axle, and resting upon the roadway, shall not exceed 10,500 pounds. to vehicles the loads of which consist of livestock. on at least one sidewall of the tire. axle, in which case paragraph (1) applies. axles shall not exceed 68,000 pounds. whole foot shall be used. Section 35750) of this chapter. 35550 shall include all enforcement tolerances. combinations of vehicles which contain a trailer or semitrailer. with subdivisions (b), (c), and (d) of this section. concrete or cement at, or adjacent to, a jobsite. (7) Motor vehicles that are not commercial vehicles. electricity, gas, water, or telephone service. (10) Trucks transporting garbage, rubbish, or refuse. (11) Trucks equipped with a fifth wheel when towing a semitrailer. (13) Trucks transporting bulk grains or bulk livestock feed. Chapter 5 of Division 15.
weights any greater than existed prior to January 1, 1976.
combinations while transporting loads composed solely of logs. consecutive sets shall be 68,000 pounds. This section may be cited as the Christensen-Belotti Act. axle of a bus shall not exceed 20,500 pounds. county board of supervisors having jurisdiction. class required for operation of the mover. (commencing with 26502) of Chapter 3 of Division 12.
subdivision (a) of Section 15210. Section 12770) of Division 5 of the Business and Professions Code. (3) Copies of those certificates and records. Official, Los Angeles, california, Weight Certificate, Weightmaster, Wieght masters, Official WeighMaster, Certificate, Car Weight Cert, Stations, Vehicle, Weight Depot, Certified Scales, Public Scale, Registration Weight Certification, Truck certified, Out of State, Taxi, Authorized, CENTER, weigmaster, Van, Publish, Recycling station, Recycling Yard, Junk Yard, Truck stop, Disposal Center, Service Company, claifpornis, claifornia, californis, califfornia, calfornia, losangels, losangles, Truck, Truck Station, Van Station, Van Public , Van , Truck, Out of State Truck, Out of State, Station, Taxi Weigmaster, Taxi, Taxi Certified, , OfficialAuthorized California, Authorized, Authorized Truck, Authorized Truck, Authorized Corticated, Public weight, Publish station, Public authorized, TRUCK CENTER, Truck Depot, , Stations, Vehicle Station., Vehicle, Depot, Depot, Stations, Vehicle weight Station., Certified, Certified Scale, , Registration, Station, Public Scale, Orange County, Ventura County & San Bernardino County,claifpornis, claifornia, californis, califfornia, calfornia, Personally Procured Transportation (DITY-Move) This program is available to military members and the next of kin of a deceased member. The program allows members to personally move household goods (HHG) and collect an incentive payment from the government when they have orders for permanent change of station (PCS), temporary duty (TDY), separation or retirement, or assignment to, from, or between Government quarters. A member can use rental or privately owned vehicles to move HHG instead of having the Government ship them. Members may use the program to move all or a portion of their authorized JFTR weight allowance. The personal property counselors provide members information on the methods and procedures for making the move and advises members that they may choose one of the methods stated below, either alone or in conjunction with a government arranged move. The counselor also prepares DD Form 2278 (Application for DITY Move) for members. The personal property office does not, as policy, advise members to move their property first and then complete the required documentation afterwards as this may result in forfeiture of incentive.